Planned development for city The city has laid out plans to build homes near a famous Cambridge beauty spot. The government has recommended building 2,000 homes near Grantchester Meadows, by the River Cam.However, the developments are yet to bear fruit as there is some discontent from the local people concerning the plans. However, the proposal is part of the local structure plan to cope with demand for affordable homes. Planned development for universities Anglia Polytechnic University Tax exile and graduate Michael Ashcroft donated £5 million to the development of a new management centre at Chelmsford. Plans for more student accommodation are also in the pipeline.The first phase of development on the Cambridge campus, Opus 1, is complete. The new building is on course for completion and occupation during the second half of 2004. University of Cambridge A multi-million pound plan could see a major expansion of Cambridge University, which could include three new colleges. The colleges will be the first since Robinson was founded in 1979.Much of the proposed 57-hectare site, which is owned by the university, is designated Green Belt land.Cambridge City Council has now agreed to put the proposal into the draft local plan which is set to be debated over the next year. Description: It is hard to imagine Cambridge without the university. It would be a small village, with no tourists and a quiet river, which is vastly different from what it is now. The University really is the focal point of the city, with its light golden stone buildings spanning eight centuries of English architecture.Cambridge, the city, has many many good pubs and arguably some of the country's best during the summer. There is a wide variety of student housing available in Cambridge but demand for this accommodation is very high. 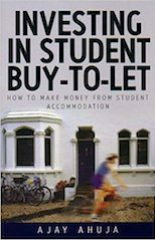 Student accommodation ranges from university halls of residence, self-catering flats to bedsits and house shares in private rented accommodation. Planned development for city There are many economic regeneration initiatives and projects being lined up, with view to improving the infrastructure developments and local area improvements amongst other plans.A key project for the next few years is the £100 million Whitefriars shopping development in the centre of Canterbury. It is due to open in 2006 and will maintain Canterbury's strong position as a leading retail business, leisure and tourism destination. The developers claim that this will ensure Canterbury City is the premier employment centre in East Kent. Planned development for universities Canterbury Christ Church University College In Winter 2003, the University announced the completion of a new halls of residence on on of its campus areas.The £3 million Northwood Halls complex was completed in time for the start of the University College’s 2003-2004 academic year and will give students from across the country the opportunity to study at Thanet campus.The building provides residential accommodation for 84 full time students.News in 2004 include the university being awarded a £1.2 million injection from the Higher Education Innovation Fund (HEIF) for business developmentThe grant is part of the Governments drive to boost the UK’s innovation performance and productivity. The University of Kent at Canterbury In I a similar fashion to Christ Church College, the University of Kent will receive £2.2m as part of the Government’s largest funding awards yet to be given to support knowledge transfer from universities to business and the wider community.Also in the news is the £50m Medway initiative, which is to be at the heart of the strategy to bring economic prosperity to Medway. A partnership led by the University of Kent and the University of Greenwich, together with Mid-Kent College and Canterbury Christ Church University College, multiple initiative groups support the scheme. The Universities at Medway initiative is a key project in the North Kent section of the Thames Gateway regeneration programme and will see student numbers rise to 6,000 by 2010. It will have a major impact on the region’s economy, adding £10m of additional expenditure and creating more than 600 direct and indirect jobs.As for student developments, the main plans are to get regenerate the Students Union with the amount and quality of activity to go up and the profile of the union to be increased. Description: Canterbury is one of Britain's most famous cathedral towns, attracting huge numbers of tourists and visitors annually. The cosmolitan feel of the city have been enhanced by the number of tourists and Canterbury's huge population of foreign students.On a social level however, the range of late night and new bars is very limited, as there are strict noise controls imposed by the city council. Planned development for city Cardiff was a major competitor for the coveted Culture Capital 2008 title, which eventually went to Liverpool. However, the City was recognised as a center of cultural excellence. In 2004 Cardiff was awarded £1.3m of National Lottery funding from the Millennium Commission to support Cardiff’s cultural programme for 2005.The city also aims to continue and build upon South Glamorgan County Councils 2020 Vision, which was launched in 1993 to map out an ambitious thirty-year agenda for Cardiff. Planned development for universities Cardiff University Roughly £40 million has been spent on University accommodation in the last 6 years and it has wonders to the general state of accommodation services offered by Cardiff University.In August 2004, the University of Wales College of Medicine and Cardiff University will merge to create a new, dynamic and internationally competitive university. University of Wales Institute, Cardiff Plans to merge the University of Glamorgan and the University of Wales Institute Cardiff to create a super college for 30,000 students were discarded in December 2003.However, this did not stop the delight of UWIC being ranked as the top "new university" in the UK by the Times Good university guide. Description: Cardiff is a vibrant city, with plenty to do in the way of shopping and museums and the buildings tend to be in a Victorian or Georgian style with some more newly developed areas such as The Docklands and Cardiff Bay. The north of the city is industrial and grew up around the famous Welsh coal mines.The Welsh Capital is well situated for travel. The airport has both domestic and international flights, the M4 takes you direct to London and there are train links throughout the UK most notably the easy journey (30 minutes) across the water to Bristol.Unusually for a city university, Cardiff has it's own unofficial student village situated in the Cathays area. Private accommodation, but might as well be a campus as it's all students. This means there's a campus-like atmosphere in the very centre of the city.On a general note, Cardiff claims to be is Europe's fastest growing city and describes itself as a capital bursting with things to do and places to go, but is amazingly, one of the cheapest places to study in the UK. Planned development for city Owners of derelict homes in Cheltenham are being offered renovation grants to make their properties liveable again. The borough council will provide up to £15,000 to cover the cost of building works and professional fees. Landlords will be encouraged to let their improved homes to help cut the housing waiting list. More than 500 private properties are currently lying empty in the Gloucestershire town.The government has asked for an increase in housing in Gloucestershire's development plans for the next 12 years. The county has had to submit an outline of its transport, housing and economic plans until 2016. The government suggested a review of land between Cheltenham and Gloucester to relieve pressure on the Cotswolds. Planned development for universities University of Gloucestershire The University of Gloucestershire only came into existence in 2001, when the Cheltenham and Gloucester College of Higher Education was granted university status - the first institute for 10 years to receive approval from the privy council. Although based on three campuses in Cheltenham, the university has plans to open new buildings in Gloucester over the next couple of years. Description: Cheltenham became a spa town in 1716. According to tradition, the first medicinal waters were discovered when locals saw pigeons pecking at salty deposits which had formed around a spring. The town received Royal patronage in 1788 when King George III came to drink the waters. This led to the rapid development of Cheltenham as a fashionable spa between 1790 and 1840. Cheltenham is one of the few English towns in which traditional and contemporary architecture complement each other.The student life is a vibrant, friendly and progressive community offering a wide range of academic programmes but retaining the qualities of an institution small enough to be able to take an individual interest in each student. Planned development for city Projects geared towards improving the quality of life in Chester have accumulated to nearly £6 million. Between April 2003 and March 2004, the council successfully bid for £5.6 million towards council and partnership projects. Planned development for universities University College Chester Chester is waiting to hear whether it will be officially recognised as a university from 1st September 2004.University College Chester has just completed a most stringent three-year long examination of the quality of its academic programmes and procedures. University College Chester’s students numbers have grown to 8,800 undergraduate and postgraduates in in the 2003-2004 academic year and is turning over £40m.Chester’s Campus is still one of the fastest growing of the HE institutions in the UK over the last five years. Description: Chester has a rich and fascinating history and enjoys an international reputation for its wealth of architecture and archaeological features, as well as for its quantity and quality of leisure and relaxation facilities.Packed with nightlife, sports, arts and cultural activities to discover as well as restaurants and pubs. There is a wide choice of shopping at the heart of the city, from specialist shops, mediaeval rows, a covered gallery and indoor market, to modern indoor shopping precincts. It is also considered as the gateway to North Wales with the Snowdonia National Park, seaside resorts and ancient castles, and is only a short drive from the lively cities of Liverpool and Manchester. The University of Liverpool awards the degrees. Planned development for city It is anticipated that thousands of jobs will be created in Essex after the biggest private finance initiative scheme in the UK gathers pace and will continue to do so over the next four years or so.The scheme to revamp and modernise the Army’s Colchester Garrison is expected to cost £560m - part of a £2b private finance initiative (PFI) to develop and operate the garrison for the next 35 years.Developers plan to move the town's soldiers to new accommodation and build an urban village of more than 2,000 homes on the garrison site. The scheme will transform the town centre with new houses, offices, workshops, stores and sports facilities. Planned development for universities University of Essex Summer 2002 saw the opening of a new £2.9 million teaching and office building. There is also a major riverside student accommodation development consisting of 750 new study bedrooms located a short walk campus.Future plans include extending the Biological Sciences building, adding a new research park and building a £6 million network centre.In 2004, the University of Essex was awarded over £2 million by the Higher Education Funding Council for England (HEFCE) to fund business development initiatives.The award was made from HEFCE's Higher Education Innovation Fund (HEIF), supporting higher education institutions in knowledge transfer to, and interactions with, business and the wider community. Description: Over 200 acres of attractive parkland, much of the University is landscaped in the eighteenth century, and is a mile away from the village of Wivenhoe with its lively quayside and variety of pubs and restaurants.The Colchester Arts Centre is a good venue for live bands, comedy clubs etc. The town also has a range of cinemas, cafes and good wine bars. The student hang-out in Colchester itself is the Hippodrome - though this is becoming less popular amongst the students. The students tend to steer away from the hang-outs of the soldiers.The close knit Colchester campus has shops, banks and restaurants, and the University is able to offer accommodation to a high proportion of its students. The University also boasts excellent sporting facilities. Planned development for city Coventry’s council houses will be transferred to a private company, paving the way for £240m of repairs. The council voted to allow the transfer of the 20,000 homes to the Whitefriars Housing Group in Autumn 2004. The government has agreed to pay off the “over-hanging debt”, which the council still owed on the houses for building them.Coventry’s Hippodrome Theatre will be demolished early next year following the government’s approval of its purchase for the Phoenix Initiative. The £25 million development has been given the go-ahead following a public inquiry. Planned development for universities Coventry University The Students Union carried out substantial new development last summer. A new Union building will be the result, replacing one of the two old ones, which will be sold off for £1.6 millionThe University itself was also building a new library and school of performing arts to the tune of £20 million. University of Warwick A new hall of residence for postgraduates is lined up for construction after plans were unveiled in 2003.The University of Warwick was also given almost £7.5 million in funding as part of the HEIF government scheme designed to encourage enterprise, technological innovation and the development and support of high technology businesses. The award to Warwick is the highest made to any Midlands University in this round of the HEIF funding programme. Description: Coventry has been rebuilt in a variety of imaginative styles since it was bombed by the Germans during the world war.Nowadays, the BMW Group British headquarters, together with Rolls Royce and Jaguar, are based here. Some areas are no-go and it is recommended that students stick to the Universities and Student Union areas until they acclimatise to the street wisdom of the area.Warwick University is a little isolated being on the outskirts of Coventry, which has both advantages and disadvantages. It is green, quiet and beautiful in the summer. Most students are to be found outside when the weather gets warm. Buses are good and run late during term time but it can be difficult to get places in a hurry.